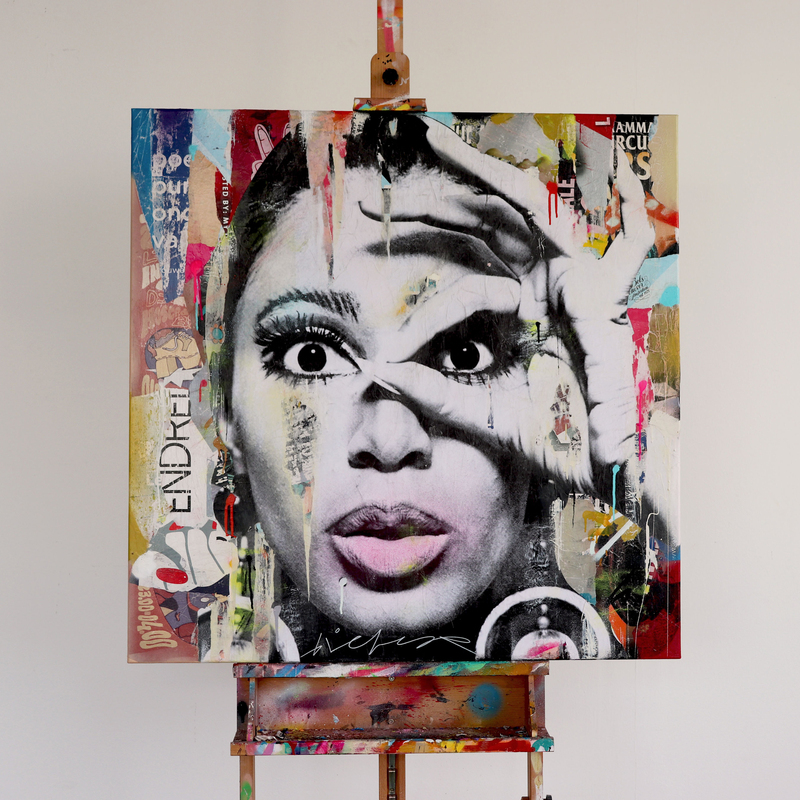 This original artpiece of Donyale Luna is partly made up of streetposters, collected from the walls of Amsterdam. 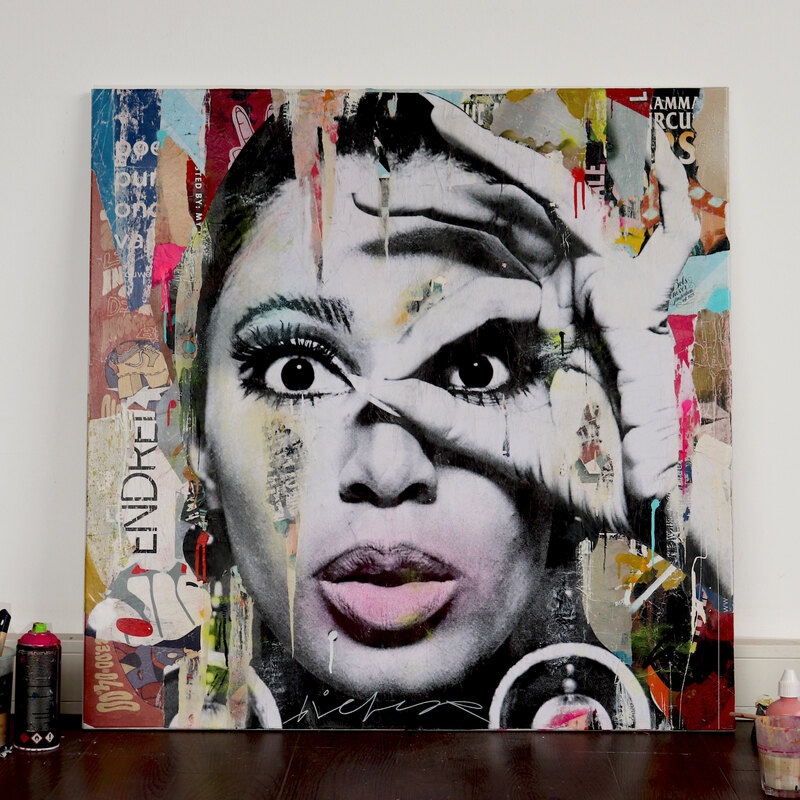 A collage of teared streetposters in combination with spray paint creates a richly-textured total. Afterwards acrylic and spraypaint and goldleaf is applied to this work followed by application of a lacquer which gives the artwork a shiny finish and keeps everything strong together.